Saturday marks the end of the high-profile swimming events at the Summer Olympic Games in Rio de Janeiro, with U.S. star Michael Phelps set to swim his last race, the 4X100-meter medley relay. Also Saturday, the Jamaican sprinter known as the world's fastest man, Usain Bolt, began his Olympic events with the first heat of the 100-meter sprint. The 29-year-old Bolt, who has set and broken his own world records for the race, is fully expected to be competing in the finals Sunday night despite a sore hamstring. 5 Germany's Angelique Kerber reacts after winning a set against Monica Puig of Puerto Rico in the gold medal match of the women's tennis competition at the 2016 Summer Olympics in Rio de Janeiro, Brazil, Aug. 13, 2016. 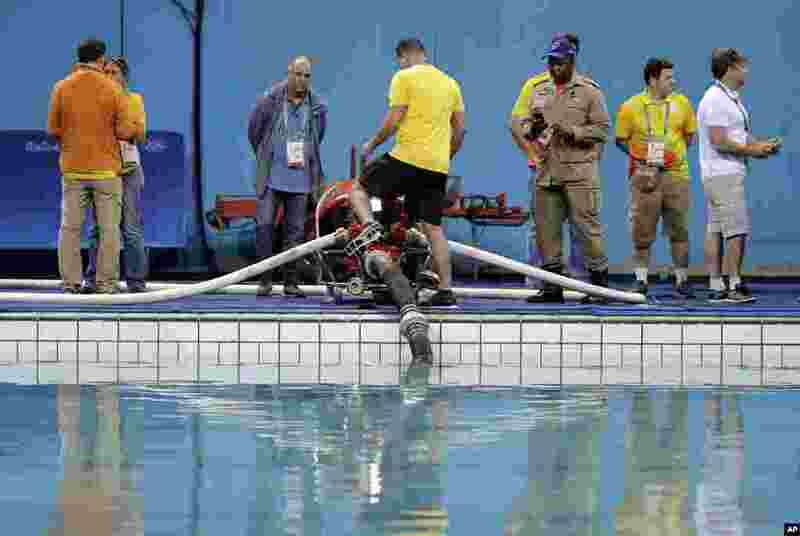 6 Technical officers and staff members of the Lenk Aquatic Center watch as the process of draining the pool where the 2016 Summer Olympics synchronized swimming competition is to be held in Rio de Janeiro, Brazil, started Aug. 13, 2016. 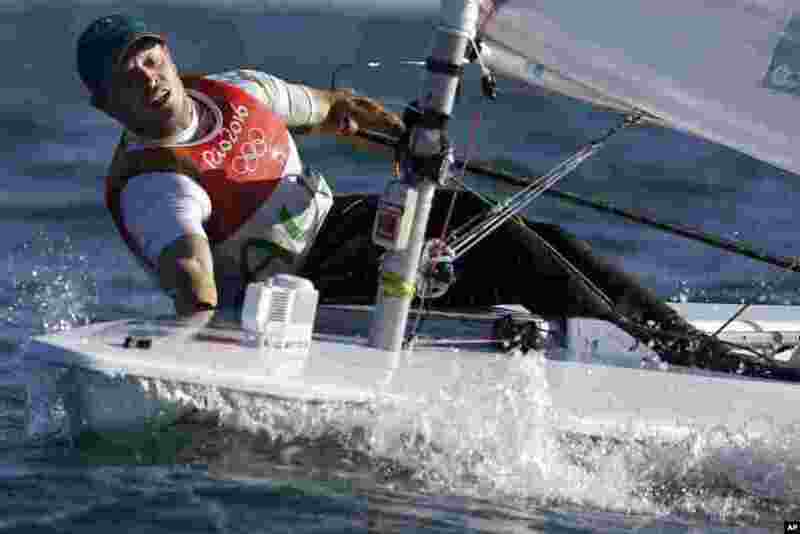 7 Australia's Tom Burton competes during the Laser men race at the 2016 Summer Olympics in Rio de Janeiro, Brazil, Aug. 13, 2016. 8 Hungary's Laura Sarosi fails to return a shot to Canada's Michelle Li during a Women's single match at the 2016 Summer Olympics in Rio de Janeiro, Brazil, Aug. 13, 2016.